The fairest tax of them all is the lottery. It is voluntary, it is not levied; you are not forced to buy a ticket. It is an adult choice. Recently the Powerball lottery changed the game by adding ten numbers. The odds of winning rose from one chance in 175,223,510 to one in 292,201,338. Let’s put that in perspective. The government population clock shows the current US population just under 322 million. 72.7% are old enough to buy a lottery ticket. If every adult in the country bought one lottery ticket with a different number, 20% of the lottery numbers would remain unsold! Winning the lottery is not how to accumulate wealth and provide for retirement. Winning may be a dream; it is fantasy – for entertainment purposes only! I abhor politicians who refer to “winning life’s lottery” as the excuse to confiscate our hard earned money and redistribute it in the name of “fairness”. Nothing fair about it! Being rich or poor is not a game of chance; but rather a result of life choices we make. Ultra wealthy people can go bankrupt, and those raised in total poverty can become ultra wealthy. Portraying the poor as “victims” and the wealthy as “lucky” does nothing but help power hungry politicians get elected. Politicians only concern about the poor or wealthy is what the poor and wealthy can do for them. Nothing-new here. The ruling class has been this way for thousands of years. During our working career, we are exchanging our time and skills for money. When we retire, we do the opposite. Hopefully we have accumulated a nice nest egg so we can enjoy retirement as we exchange money for time. The choices we make through our working career is what impacts our ability to accumulate wealth. The wealthy people I know did not accumulate their wealth working 40 hours per week. Some expanded their education and improved their earning power. Others bought rental property or had side businesses that allowed them to compound their wealth. They did not leave their economic future to chance; they know better. When the government instituted the zero interest rate policy (ZIRP) the game changed. 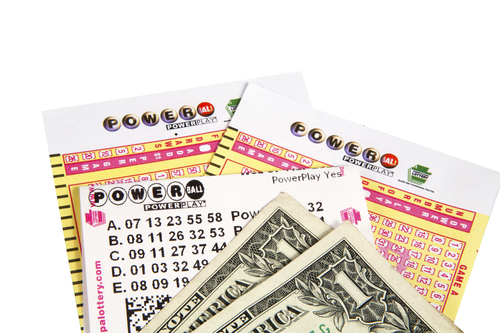 Just like Powerball, the government changed the rules and made things tougher. In the past, we could add to our accumulated wealth (and time bank) by investing in safe bonds and certificates of deposit and earning a good rate of interest. Not anymore, the government rigged the game to make banks the winners and seniors and savers the losers. Unfortunately for seniors and savers, the “preserve, protect and carry into the future” has been reversed. Interest rates from the banks and government do not keep up with inflation. The politicians rigged the game and are squandering our future. Investors today have little choice but to invest in the bloated stock market, or look to the high-risk bond market for any kind of decent return. I recently wrote about the pitfalls of the stock market. The bond market is equally as risky. Investors used to be able to count on 5-6% interest in top quality bonds and federally insured Certificates of Deposit. They no longer exist. Holding cash is taking a step backward when inflation is factored in. It still may be the least risky option today. The Wall Street Journal article “The New Bond Market: Bigger, Riskier and More Fragile Than Ever” reports the bond market has grown to $39.5 trillion. Much of the growth has been attributed to the low interest rates making it easier for borrowers, regardless of their credit rating. Investors, looking for yield, have been forced to look at what is commonly known as “junk bonds”. These are the bonds that pay high interest because the borrowers are less than pristine. Much like a personal credit score, the lower the credit score the more interest you pay to borrow money. Junk bonds are typically rated ‘BB’ or lower by Standard & Poor’s and ‘Ba’ or lower by Moody’s. Prior to the Federal Reserve driving interest rates to historically low levels it was not unusual for investors to earn double digit interest rates for taking on the additional risk. Today, junk bonds pay interest rates once associated with top quality bonds. Companies with marginal credit are borrowing like crazy to take advantage of these low rates. The first concern in buying a bond is the ability of the borrower to pay you back. With an individual bond, either you get paid or you don’t. You could do very well, or lose all your money. Individual investors were encouraged to invest in Mutual Funds and Exchange Traded Funds that spread the risk over hundreds of different bonds. If one defaulted, you might lose a little money but you were not wiped out. US mutual funds ownership of corporate bonds has risen from 9% to 17% since 2007. Investor’s were starving for yield and the industry stepped in and provided the product. Many funds invested in lower grade bonds for higher yield. The funds tout them as safe because they are diversified. The funds were all buying from the same pool and have tremendous overlap. When the inevitable defaults begin, all at once, a lot of funds will have big problems. The second risk is reduction in the market value of the bond. If interest rates rise (as the Fed is threatening to do), the resale value of the bond will drop. An investor would not buy your bond when better rates are available unless you drop your price to be comparable. If you own an individual bond you can sell it or hold it until maturity. If you hold to maturity, your loss would be the interest rate you could have earned minus what you actually earned. With mutual funds or exchange-traded funds, you do not have control. What if you want to hold until maturity, but thousands of other investors put in sell orders to get out of the fund? Funds will be forced to sell some of their holdings at the worst possible time. There may not be enough buyers to make a market; you might not get your money out for days. Funds may be forced to liquidate their safer bonds because they have more resale value, leaving remaining shareholders with the lousy leftovers. Don’t invest with a bank. Understand the money you have on deposit with a bank is not yours, basically you are a general creditor. While you may have FDIC insurance, there are better investment options available. Review all your bond holdings, both individual issues and funds. If the maturity date(s) of the bond(s) is more than three years you must decide if the interest income is worth the risk of a potential catastrophic loss of capital. If you have any doubts, you should sell now. If the maturity date is three years or less, will I receive all the interest and recover my capital? If in doubt, get out! Don’t panic! Yes, holding cash is a step backward in your time machine, however it may be the safest alternative. There is a reason billions of dollars went to T-Bills paying zero interest. The big boys who buy T-bills realize that protection of capital is now at the top of the list. If interest rates rise, and the bond market collapses, which it may, there will be plenty of bargains available to you. I define luck as “when preparation meets opportunity”. Keeping tight reins on your portfolio and holding cash in reserve might present you with some real lucky opportunities in the near future. I consider myself a real sports fan; however this is the time of the year things get overloaded. Baseball is winding down, fall football is in full swing and the winter sports are just beginning. Between the television shows Jo likes to record and all the sports the DVR is on overload. You can watch a game fairly quickly when you fast-forward through all the commercials. What a time saver! While I am on the subject of fall, our Arizona weather is starting to cool down. On Sunday morning I had a real surprise. I was up before sunrise, sitting on the back porch watching the sunrise. Within a few minutes the sky was dotted with a dozen beautiful, multi-colored hot air balloons. It was cool, quiet and a wonderful way to start the day. It was exhilarating! Next Sunday I plan on having a camera ready. My first thought was what a terrific photo it would have made with the caption, “A beautiful cool Arizona morning”. Good friend Toots sent me some neat sayings about aging. A couple hit really close to home.